Editor's Note: Rachel Fine is a host of Howard TV’s Fine Time, as well as being a Huffington Post contributor, musician and red-carpet reporter. As of today, she is coming out of the paranormal closet as an ancient alien theorist. For more from Rachel, visit her website and follow her on Twitter. I need to be honest about something. I’ve considered adopting an “Ancient Alien Theorist” title for some time now. Long before movie audiences started caring about the Engineers from Prometheus, this has been a passion of mine - but I am not entirely sure how one gets that Theorist badge; it feels kind of like a self-ascribed sort of thing. Is there some test to prove my rabid obsession for all things ancient alien has crossed the threshold to theorist-level knowledge? I hate tests. Am I a fan of History Channel’s Ancient Aliens? And the answer is YES! 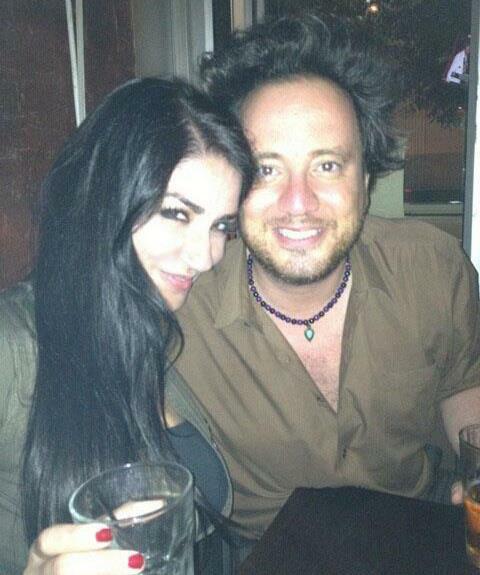 (Giorgio A. Tsoukalos fans will get that one). And my fandom isn’t of the “passive, sit on couch and watch a great TV show” variety. It is of the “nearly show up late to Giorgio’s lecture at Columbia University because you’re trying to find a campus bookstore so you can make an emergency purchase to more effectively take notes” variety. Not only was I honored to introduce Giorgio (and his hair) to the crowd at his latest tour stop, I was psyched to pick the Ancient Alien Theorist brain over a number of cocktails after. 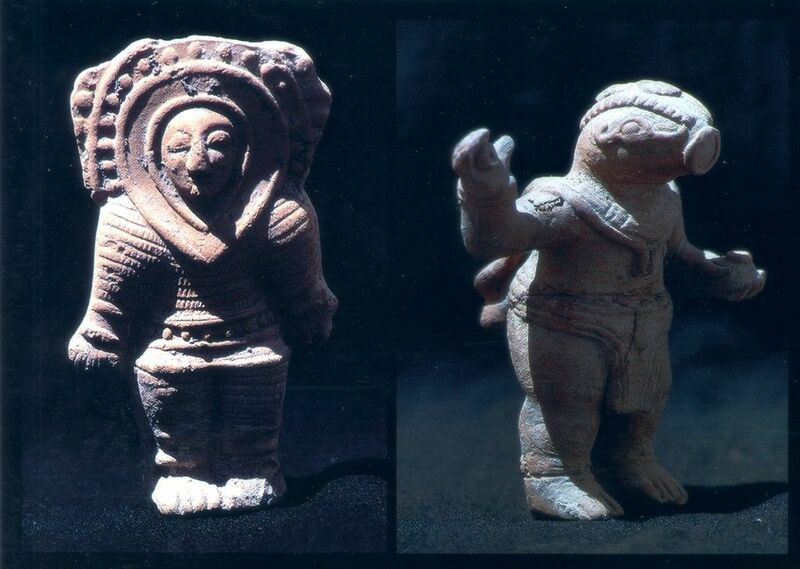 There are many ancient stone figurines depicting “Sky People” scattered across the world, with one global commonality: they appear to be wearing space helmets, complete with breathing apparatuses. What exactly were our ancestors trying to depict? These ancient Indian flying machines found in Sanskrit texts as early as 1,500 BC are more technologically advanced than anything in existence today. A modern translation reads: “Jumping into space speedily with a craft using fire and water ... containing 12 stamghas (pillars), one wheel, three machines, 300 pivots and 60 instruments.” Mahabharata texts include descriptions of these flying machines that not only fire missiles using sonar to identify targets, but also employ beams of light to destroy targets with pure energy. There are many religious references to similar crafts. In the Book of Ezekiel, a prophet has a vision of a flying vessel accompanied by fire, smoke and a loud noise. Again, we find a correlation between religion and space travel. Pacal the Great ruled the Mayan empire in the seventh century, and was buried inside a pyramid called the Temple of Inscriptions. Many people have referenced the lid of his sarcophagus when discussing ancient aliens. If you look closely, Pacal appears to be seated in a spaceship with his hand on a control panel, his foot on a pedal and an oxygen tube in his mouth. While there are many curious examples of UFO-shaped objects in classical art, this one just seems blatant. Crivelli painted this biblical scene in 1486. You can clearly see a disk-shaped object shining a beam of light through the house wall and down onto Mary's head. There are many interesting comparisons between what we know as religion today, and what could have potentially been extraterrestrial sightings, when one considers the time period. Without exposure to airplanes, etc, the assumption of aliens or spacecrafts as “gods coming from the heavens” makes historically contextual sense. Gold trinkets like these are over a thousand year-old and were found in Central & South America. While they were initially thought to be animals, nothing in the animal kingdom has a single, upright and perpendicular flange. The tail fin has an exact shape of fins on modern airplanes and is clearly aerodynamic in nature. Recently, exact scale replicas were reverse-engineered and built five times larger. They flew perfectly without any modifications. The Dogon people of Mali, Africa, have been a source of intrigue due to strange legend passed down by Dogon priests since 3,200 BC. They tell of alien visitation from the Star System of Sirius, referring to the alien race as the “Nommos.” Nommos supposedly descended from the heavens in a great “boat” surrounded by significant noise and winds. The Dogon asserted that the Sirius system had a companion star, invisible to the naked eye, that was home to the Nommos. Jump forward a few thousand years to 1970 when astronomers, intrigued by the legend, actually confirmed the existence of Sirius B and were able to photograph this companion star to Sirius A. As it turns out, Sirius B is a small, cool and very dense star gravitationally-bound to Sirius A, and part of the same solar system. The Dogon were also able to correctly identify the moons of Jupiter and the rings of Saturn, all without the assistance of a telescope. Their astronomical knowledge remains as mysterious as it is accurate. In Peru’s Nazca Desert lies a collection of ancient designs stretching over 50 miles. These lines and shapes include drawings of animals, birds and humans - some as large as 600-feet across. What’s particularly amazing about these massive drawings is that they’re so large, they can only be seen in their entirety from an aircraft. Ancient Alien Theorists (like me) assert the lines served as guideposts and spacecraft runways. These ruins are part of a large temple complex near Tiwanaku, Bolivia. The monoliths (some over 120 metric tons!) came from quarries over 80 miles away, leaving many unanswered questions about their transportation. Some people mistakenly assume wooden rollers would have been employed. But not only did one single block crush a test wooden roller, it is important to note, there were no trees in the area! At 12,800 feet, the land elevation is far above the natural tree line. Further, and more compelling, these monoliths are made of granite & diorite, types of stone that are second in hardness only to diamonds. Yet the stones are intricately cut with such precision that just gently running your finger over the angles with slight pressure would cause you to bleed. The lines and inside cuts are exactly straight, and the holes cored into these stones are perfect and all of equal depth. The blocks are cut so that they interlock, fitting together like a puzzle and held in place without using mortar. Considering the technology of the time, it’s hard to imagine the structure was built using tools of that era when we could barely replicate that precision using today’s advance machinery. When you look at the preponderance of evidence across thousands of years, it becomes clear that there are unanswered questions that traditional archaeologists are unable, or unwilling, to address. If even one of these 10 examples is accepted evidence of ancient aliens, then we have to start thinking about the universe - and our own history - very differently. You are going to have to take about this next year at Through the Veil!